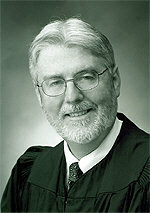 Courts>Courts of Appeal>2nd District Court of Appeal>Justices>Division Four: Associate Justice Thomas L. Willhite, Jr.
Division Four: Associate Justice Thomas L. Willhite, Jr.
Justice Willhite was born and raised in Southern California. He graduated from the University of California at Los Angeles in 1976, and Loyola University School of Law in 1979. From 1980 to 1990, he served as a Deputy Attorney General in the Criminal Law Division of the California Attorney General's Office. There, as a criminal prosecutor, he was a Supervising Deputy and Capital Case Coordinator, overseeing and prosecuting death penalty appeals from the Counties of Los Angeles, Ventura, Santa Barbara, and San Luis Obispo. In 1990, he was appointed as a judge to the Los Angeles Municipal Court, where he served until 1997, when he was elevated to the Los Angeles Superior Court by Governor Pete Wilson. Among other assignments as a superior court judge, Justice Willhite served as a criminal trial judge in a high security courtroom hearing primarily lengthy trials in need of special security precautions, and also served as a civil trial judge hearing a wide variety of civil lawsuits. In 2005, Governor Arnold Schwarzenegger appointed Justice Willhite as an Associate Justice to Division 4 of the Second Appellate District. Justice Willhite has been a judicial education instructor in such topics as sentencing, habeas corpus proceedings, summary judgment proceedings, jury instructions, and judicial ethics.